I won’t forget what I did for love. A Chorus Line celebrates the foot soldiers of the dance world. It opened on Broadway in 1973, 14 years before Michael Bennett, its choreographer, died of AIDS, 10 before my son David was infected, and 15 before the first World AIDS Day, also commemorated as Day Without Art. At the beginning of the epidemic AIDS affected a handful of people, mostly gay men and intravenous drug users. Given its target population, it killed a large number of people in the arts, including dancers, figure skaters, fashion designers, artists, and actors. The world lost Keith Haring, Perry Ellis, Rock Hudson, Anthony Perkins, Liberace, Halston, Rudolf Nureyev and many more. 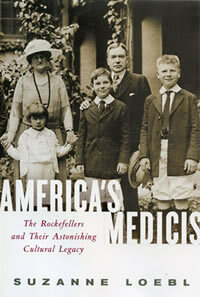 When AIDS arrived on the scene, its patients were despised and feared by the majority of the population. Landlords would not rent them apartments, their families ignored their plight and even funeral directors would not always bury them. Time is an effective analgesic, and it is hard to remember the horror of the disease’s initial decades, and the isolation faced by those of us who cared for our loved ones in spite of widespread prejudice. It was up to the first generation of AIDS patients (they always refused to be labeled as “victims”) to makes themselves heard. There were countless gay action groups: GMHC, PWAC, amfAR, ACT UP, Broadway Cares and more. My day started with a look at the obit page of the New York Times. It was filled with announcements of men who died in their twenties, thirties and forties. My social life was dominated by “Celebrations of the life of…” Most of these memorials were small, but some were huge. The memorial for Arthur Ashe, the tennis champion, spilled beyond the vast Cathedral of St. John the Divine in uptown Manhattan and the free dance performance commemorating Alvin Ailey (or was that concert held for Robert Joffrey?) filled the City Center. The American public eventually came to their senses. In 2015, just roughly thirty years after the height of the AIDS epidemic in America, the US Supreme Court abolished the Defense of Marriage Act. The responsibility the gay community showed in caring for its stricken brethren played an important part in this victory. Today AIDS can be managed with drugs and people who have access to these medications (read: middle class white Westerners) can have an almost normal existence. The disease, however, is far from gone. It still kills more than 1 million people annually, including almost 200,000 children! As before there may be an effective vaccine in the pipeline, which might eradicate the disease worldwide. Such a powerful entry…The beautiful quote you chose from A Chorus Line gave me chills. Remembering David — and countless others. As always, thank you, Suzanne. Wonderful photo. 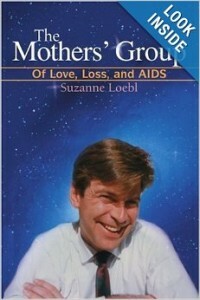 Thank for remembering your son, mine and all the young lives lost to AIDS.